In Chapter 5, we talked about weathering and erosion, which are the first two steps in the transformation of existing rocks into sedimentary rocks. The remaining steps in the formation of sedimentary rocks are transportation, deposition, burial, and lithification (Figure 6.2). Transportation is the movement of sediments or dissolved ions from the site of erosion to a site of deposition; this can be by wind, flowing water, glacial ice, or mass movement down a slope. Deposition takes place where the conditions change enough so that sediments being transported can no longer be transported (e.g., a current slows). Burial occurs when more sediments are piled onto existing sediments, and layers formed earlier are covered and compacted. Lithification is what happens — at depths of hundreds to thousands of metres — when those compacted sediments become cemented together to form solid sedimentary rock. 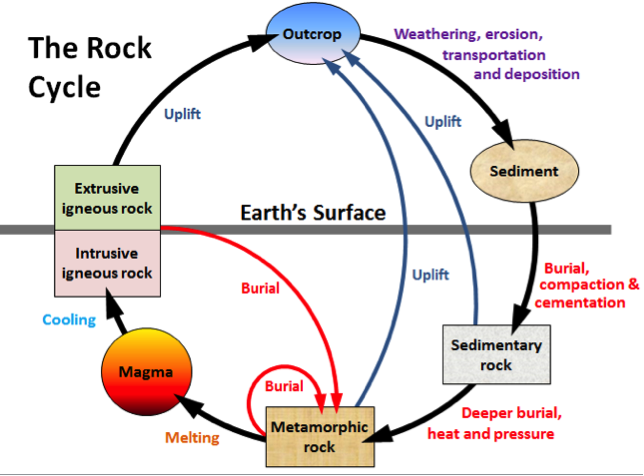 Figure 6.2 The rock cycle, showing the processes related to sedimentary rocks on the right-hand side. 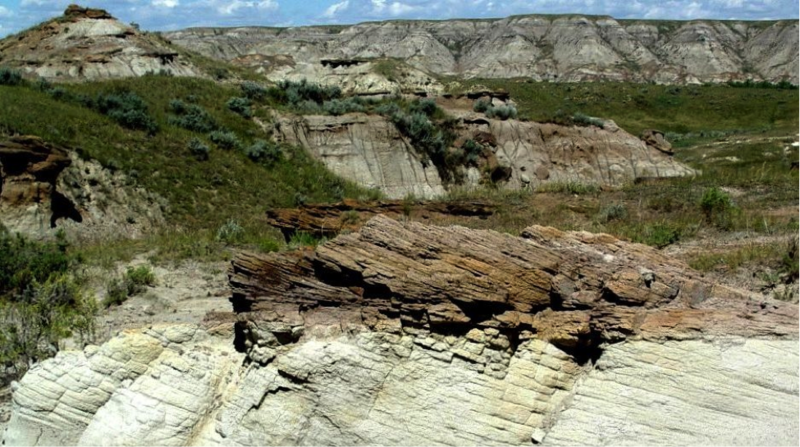 In this textbook, we divide sedimentary rocks into two main types: clastic and chemical. Clastic sedimentary rocks are mainly composed of material that has been transported as solid fragments (clasts). Chemical sedimentary rocks are mainly composed of material that has been transported as ions in solution. It’s important not to assume that mechanical weathering leads only to clastic sedimentary rocks, while chemical weathering leads only to chemical sedimentary rocks. In most cases, millions of years separate the weathering and depositional processes, and both types of sedimentary rocks tend to include at least some material derived from both types of weathering. Chapter 6 Sediments and Sedimentary Rocks by Steven Earle is licensed under a Creative Commons Attribution 4.0 International License, except where otherwise noted.